In 2011 the Documentation Centre increased its efforts to source, collate and catalogue available in-country, regional, continental and international information and documentation on gender-related information. The Centre has built a considerable body of information available to the public and continues to attract visits from the public, particularly from the tertiary student community. 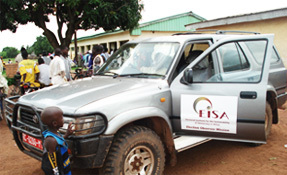 EISA extended its partnership with the CIDST in the running of the Documentation Centre. The Centre continued to collect documents and articles on gender issues both nationally, regionally and internationally. During 2010, the UNDP, the United Nations Educational, Scientific and Cultural Organisation (UNESCO), the United Nations Children's Fund (UNI CEF), Focus Development, the Embassy of Mauritius, and the National Library of Madagascar provided the Centre with information, articles and publications. There was also a significant increase in the number of visits to the Centre during this period. A Documentation and Resource Centre in partnership with the Centre d'Information et de Documentation Scientifique et Technique (CIDST) was established in July 2009 and will be launched officially in 2010. This is the first Centre of this kind in Madagascar with a focus on sourcing, collecting and analysing information and material related to gender issues, locally, regionally and internationally all housed under one roof. While various programmes, studies and research reports have been conducted and produced over several years in Madagascar, what was lacking was a comprehensive analysis, compilation and collection of this body of information under a central roof. 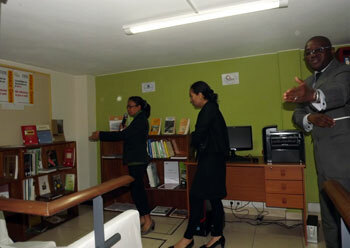 The Centre provides this space and is slowly building up a comparative library available to the public. EISA, in partnership with the Scientific and Technical Documentation and Information Centre (CIDST), is supporting the establishment of a documentation centre to generate academically-based knowledge and information on gender-related issues, both nationally and internationally. The information will be sourced, catalogued, analysed and collated and made available to stakeholders, academics and political parties. CIDST will house the centre with EISA providing resources for hiring a researcher and setting up the database and assisting the researcher in how to collate, catalogue and analyse the information.